David Says: "Converse has been doing some interesting projects with their First String line. 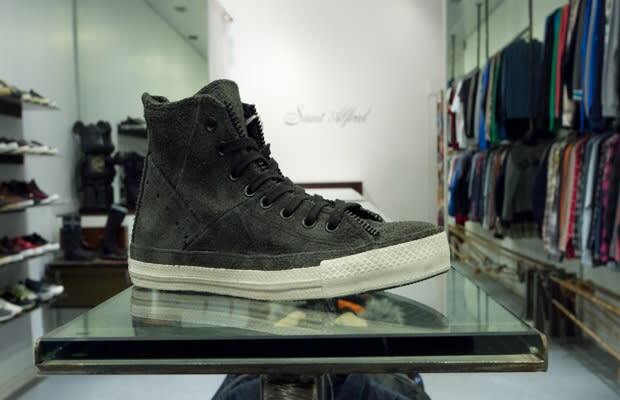 One of them was this collab with Schott NYC where they fuse the "Perfecto" jacket and the Chuck Taylor. My favorite details about this shoe are the fact they used a strip of suede along the sole and a back zipper for slipping the shoe on and off."